Why Choose the Original Jackson Pools? There are a lot of custom pool builders in Southwest Florida, one of which even shares our same name. We are proud to be the original Jackson Pools — the pool contractor Southwest Florida has trusted for more than 30 years. Our extensive experience earned us the highest accolades from both the National Spa and Pool Institute as well as the Association of Pool and Spa Professionals. Our custom pool designs are constructed using only the finest quality materials along with warranty-backed equipment. At Jackson Pools, we take the hassle out of pool construction. Unlike many of our competitors, we offer both in-house design and installation teams for seamless completion of your pool project on time and within budget. From fountains, rockscapes to custom renovations, our unique designs and fine craftsmanship ensure no detail will be missed in creating your dream pool. We take pride in being the original Jackson Pools. Don’t settle for anything less. Is our Backyard Resort Pool right for you? With over 30 years of experience in the pool building industry, the one and only, award-winning, Jackson Pools creates the finest custom pools. Offering unique designs, top-notch finish work and the highest quality materials available we make your dream of a beautiful and unique custom pool an incredible reality. Our vast industry experience, proven by numerous awards and client accolades , allows us to combine technology with innovation. At Jackson Pools, we use only the finest materials… no short cuts, and select equipment that is backed by our warranties which are the strongest in the industry. You dream that you get up in the morning and step out to your patio, and you gaze upon a swimming pool like no other. It’s a creation of art that enhances you home. 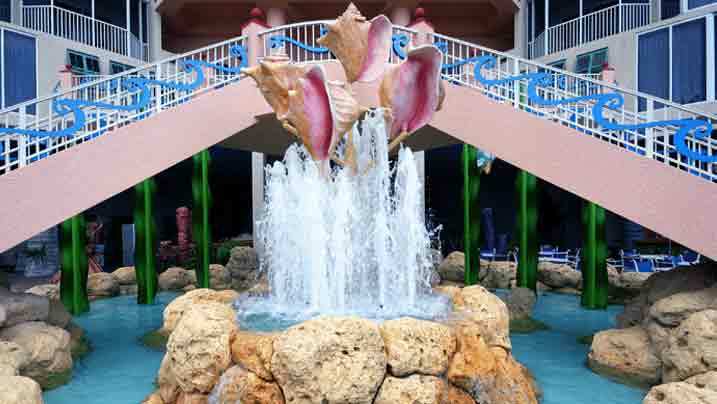 A rockscape with waterfalls and fountains, highlight an attached spa which churns with relaxing waters awaiting you. But first a swim in the pool. Your entry splash awakens you to reality. And that reality is your dream is true thanks to Jackson Pools.